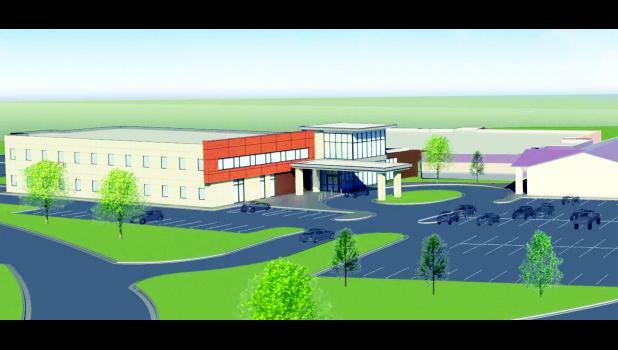 Planned expansions and renovations at Holton Community Hospital — including the construction of a new, 11,690-square-foot rural health clinic — could get started as early as next spring, the Holton City Commission learned this week. During the commission’s regular meeting on Monday, HCH CEO Carrie Saia presented commissioners with plans for new construction and renovations, prompted by strategic planning sessions held last year by the Rural Health Resources board, which oversees operations at the hospital. Saia told commissioners the strategic planning sessions produced recommendations for improvements in the emergency department and an expansion of the inpatient area, as well as the need for a new clinic that would provide more room for the hospital’s growing roster of outpatient services.